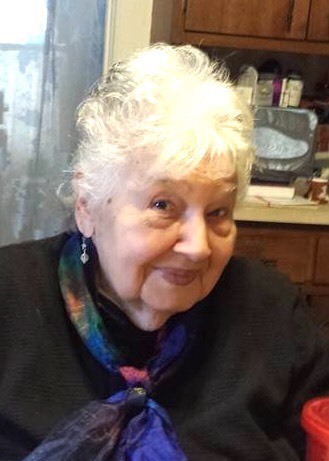 Norwich – Lena Abruzzo, 96, passed away Tuesday April 9, 2019 at the Lawrence Memorial Hospital. She was born December 24, 1922 in Brooklyn, NY the daughter of Ralph and Paula (Liotta) Ruggerio. Lena was predeceased by her husband James J. Abruzzo, parents, two sons James, Ralph, and two grandchildren Cassandra and Lena. She was survived by two daughters Rosalie (Joseph) Barry, Margaret (Marshall) Peringer, six grandchildren Donnell Hamilton, Marlena Palmer, James Abruzzo, Amy Hamilton, Nickolena Abruzzo, Christopher Abruzzo, eleven great grandchildren Brandon, Matthew, Cameron, Ashlee, Anthony James, Michael, Alicia, Nicholas, Caitlyn, Zachary, Nicolena, two great great grandchildren Jaden, Hudson, and two faithful friends Cheryl Hubbard and Ruth Abruzzo. A Mass of Christian Burial will be Monday April 15, 2019 at 10 AM at St. Mary’s Church 70 Central Ave., Norwich. Burial will follow in St. Joseph Cemetery in Norwich.